Thank you for your interest in attending A3C Festival & Conference as a member of the media. 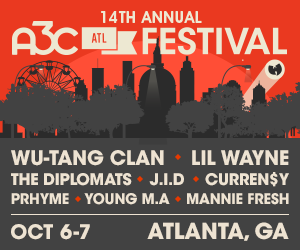 A3C Festival & Conference is a media-friendly event. There aren't many velvet ropes, in hopes of creating as many connections as possible. You do not need a media pass to gain access to thousands of artists, producers, influencers and icons. If you are a photographer, videographer, writer or blogger and would like to cover and/or create content at the 2019 A3C Festival & Conference we recommend buying an A3C pass, or submit here to cover the event for A3C HERE. There are no backstage passes or unlimited access provided to media. There is no media list for specific events, nor are performers or speakers provided with media passes. We only provide complimentary A3C passes to a handful of media outlets. We receive thousands of media requests each year, and because of the high demand - and limited supply - a majority of media requests will not be fulfilled. Media credentials are issued only to accredited media members covering the festival and/or conference for legitimate publications, internet sites, cable networks and radio/television stations. To be considered, a media outlet must have 1M combined reach (Print/Social/Digital).